All shows 21+ unless specifically noted. Listener Discretion Advised. Doors 7 pm with Social Hour and jazz by Tonight’s Special. Stories start at 8 pm. Beginning in the Spring of 2017, Portland Story Theater launched a special Immigrant | Refugee Edition of Urban Tellers. 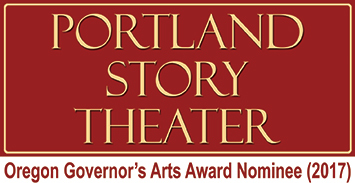 These programs have been generously supported by the Oregon Cultural Trust, The Collins Foundation, Ronni Lacroute, and SAGE (Senior Advocates for Generational Equity, Ward Greene and Diane Ponti, Founders). We are continuing this program with a new Immigrant and Refugee edition. Come hear the stories on April 5th at The Old Church Concert Hall. At Urban Tellers® listeners are invited to embark on a shared experience that is a potent blend of vulnerability and heart. It’s an evening of discovery, connection, and honesty woven together in a tapestry of shared experiences. “The experience was truly wonderful. My friend and I enjoyed the stories.” ~Crystal G.
“Loved this experience! I had a fantastic time.” ~Laura A. “What a wonderful, exciting, and fresh approach to entertainment. I love Portland Story Theater!” ~Juliene L.
Many of our stories are available for viewing on our YouTube channel. You can downloaded our stories as Podcasts from SoundCloud or iTunes. Enjoy!